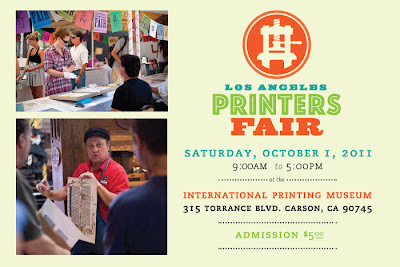 Come by and see us at the Los Angeles Printer's Fair! So a solid fact about me is that I am totally in love with music. Totally in love. All sorts. I print to 80's music, I sing along to 90's alternative (the songs of my youth! ), I have favorite operas, I'm in love with musicals, I am moved by classical. My 2 year old son listens to hard rock and requests Radiohead. And since I have zero musical talent, I especially love my dear dear friends who can. My friend Libbie Schrader just released a gorgeous album funded entirely by her fans. She, my friends, is a fellow Claremont alum (Pomona, I went to CMC, but whatever, 5-C solidarity), won a national song competition, went on to tour with Jewel and Poe, has had her music on TV shows, and produced this amazing new album without a label. And that's awesome. Now my dear friend Mike TV of the band Get Set Go has started a Kickstarter project of his own. Mike TV and I were flatmates for years, and I had the pleasure of being there when he signed onto a label and put out his first CD, which is still my favorite. I was around when he wrote so many of the songs on the band's next couple releases, so many of which he practiced ad nauseum that somedays when I close my eyes I swear I still hear him singing "Suicide" in the background. One of my favorite songs in the early days was "Firetruck," and I was so thrilled for him when the show Jack & Bobby picked it up. Then, after Michael moved out, my new flatmates were watching this new show on TV when suddenly out of nowhere was Michael's voice as some young doctors were in an elevator on Grey's Anatomy. I had never watched the show and was, as you might imagine, weirded out that my friend's song was on network TV. I got the same weird jolt feeling when on Grey's Anatomy's musical episode this past season, one of Michael's songs was sung by someone that wasn't Michael. His song "Wait" was just beautiful sung by Chandra Wilson, and I excitedly called him to see how long he knew that his song was going to be a part of this major music-driven episode. 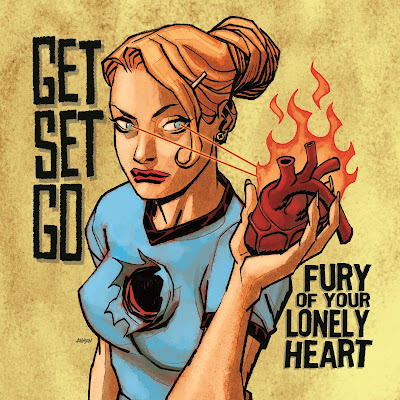 Despite all the exposure, Get Set Go isn't a commercially successful band with lots of radio play. In fact, quite the opposite. I wager most of you have never heard of them. When the goal is to make music, sometimes the dollars just don't add up. I swear that despite all the exposure his music has received over the years, Mike TV drives this beat up van and lives on peanut butter and puppy kisses and that's it. When the goal is to put as many songs out there as possible, and record labels are stuck in a business model that favors multimedia megastars, well, sometimes you just gotta ask your friends and fans for a little help to put out the music you want to put out. 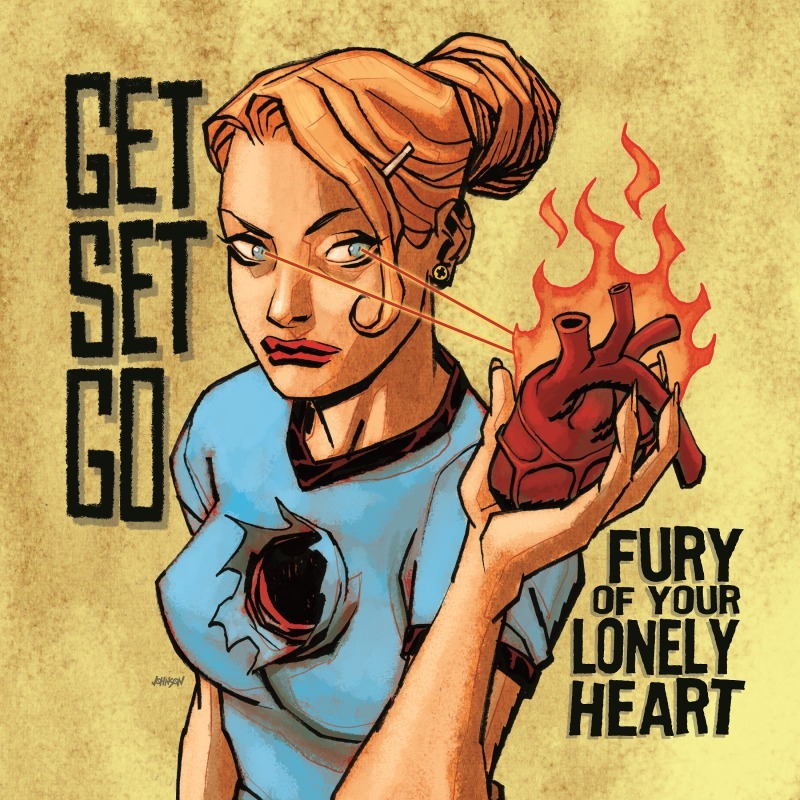 So, if you've never heard of Get Set Go before, check them out on their website, check out their Kickstarter campaign, and kick something down in support of indie rock music. It is so funny how fast this show breaks down. Set up is over the course of two or three days, and it seems as if break down happens in like 5 minutes. The row carpeting is the first to go. Candie and I worked feverishly hard to move all of our furniture and products to the back corner of the booth in fear that the forklifts coming through later would have little care about our stuff (this is generally a good assumption, by the way). I waited with Brad from Maginating for about 3.5 hours for our crate to come back. We packed up, borrowed screws from whoever was around to fix the crate and reseal it, and then for good measure, pallet wrapped it. And then left it all lonely like in the middle of a decimated hall. All gone! Isn't it amazing how quickly the show breaks down? I hope you enjoyed our coverage of the National Stationery Show! It's been quite the ride! I have a soft spot for people named Joel, and Joel and Lauren were the greatest. I also had lots of fun with Shauna of Hello Lucky and made it a point to venture really far away just to see their booth. Shauna sent me home with all this Hello Lucky swag (well, Joel and Lauren stuck a bunch of their cards in my hands as well before I realized I was trying to LIGHTEN my load, not get free stationery). I hope you enjoyed our trip our new friends through the National Stationery Show. I honestly didn't leave the booth enough, and I have more pictures of all these amazing booths than I've had time to sort through. Next up: NSS break down! What is kind of fun about the National Stationery Show is getting to hang out with your stationery colleagues for the better part of a week. We bump into each other a bunch here in southern California, but it was nice to see everyone's work displayed. I missed taking a picture of Anemone Letterpress at the Ladies of Letterpress booth. What's kind of funny is that people kept stopping by and saying, "Wow, there are so many letterpress printers from Pasadena!" And I was just rolling with it for awhile until I realized that there were only three of us there - Joie Studio, Fugu Fugu, & Anemone. I mean, four if you count DeMilo from South Pasadena, but there were at least as many letterpress printers from Brooklyn there at NSS. 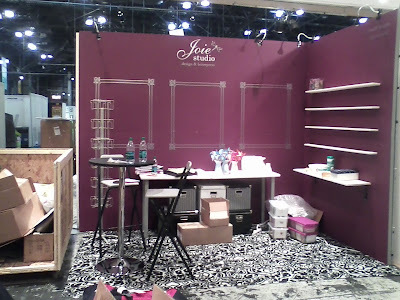 Next post will be some of Joie Studio's new friends from other states at NSS. NSS Report: A Built & Dressed Booth! Okay, so my report of the National Stationery Show majorly stalled. But I blame my 2 year old son, who came home with the nastiest stomach bug and proceeded to infect the whole household, dog included, with it. But I'm back, barely. And I showed you our NSS booth setup, here it, finally, the booth, all set up. New York wasn't all work - Candie and I made time Saturday before the National Stationery Show to go to lunch at the acclaimed 3-Michelin star restaurant Jean Georges. We literally went to Javits in the morning, worked on making the booth pretty, took a cab to lunch, and then walked the mile back to Javits to finish our setup. It was totally worth it. I'll admit to being a closet foodie. I've eaten at my fair share of 1-star and 2-star restaurants, but Jean Georges is my first 3 star restaurant. And their lunch deal was hard to beat - $32 for 2 courses. AMAZING for such a high caliber restaurant. Here's my attempt at food blogging. The order to eat the amuse bouche was exactly that. Taken out of order, I think the carrot water's lingering flavor would have been weird with the other tastes. And I will tell you - that little morsel of pasta goodness was a real party in my mouth. I could not stop thinking about it the entire meal, and that's saying something. Lavender macarons (a little too sweet and floral for me) rather reinforced my opinion about not getting dessert. Although the marshmallows at Jean Georges were really high caliber. I am a huge fan of gourmet marshmallows! Hope you enjoyed our little food trek in NYC! We successfully opened the crate, put up the walls, put down the carpet, build the furniture. Yay! Tomorrow we shall deal with product and Sunday the show begins! Yay! Gonna do some work now. An exhibitor's work is never done until we're done exhibiting! The crate left early last week, and I'm leaving tomorrow. We're on our way to the National Stationery Show! Yay! Wish us luck! Either Candie or I will report back once we get situated in New York City! I'm totally crushing on Invitation Crush's brand new first annual wedding invitation lookbook! I posted it here from the ever awesome Issuu for your viewing pleasure. You can spy two Joie Studio invites and three Toast to Joie invitations, which is totally awesome. Thank you, Kristen, for putting this together! So if you follow Joie Studio on Twitter, you'll maybe guess that all us independent letterpress studio tweeps are just a little obsessed about the National Stationery Show. And one of the aspects we have griped about over the last week or two are the NSS promotional mailers. I didn't want to ruin my own reveal to those that received the mailer (sorry, friends in Canada! next year I'll figure out mail merge a little better to include foreign locations!). My mailer consisted of a letterpress piece and a bunch of postcards. I think the letterpress piece is stunning. So here I am sharing. It's based on two different train ticket designs I've done over the last couple years. I kind of wanted to give people a "Joie Studio ticket" to our booth at the National Stationery Show. I hope you like it! I'll tell you, I wanted the mailer to be a little more extravagant but I'm glad I refrained. The result is simply beautiful letterpress. If you'll be at the National Stationery Show, please stop by booth #1963 to say hello! As the preparations for the National Stationery Show continue, Michelle from Shop Toast and I decided to participate in the BizBash gift bag. To show how beautifully the favor and invitation go together, we decided to do a invite/favor set for the gift bag. Michelle & Jeremy sent up 100 tiki aloha wood stumps as well as custom printed labels and I paired them with the matching Toast to Joie Tiki Aloha invitation, packed them into individual bags and sent them on their merry way. There's a sweet little macadamia nut cookie inside of Mr. Tiki, so I hope they enjoy! I have to say, the mailing seemed to quadruple in size as soon as I started individually packaging them. Hope you enjoyed the little sneak peek! Back to work with me! More soon! This project has been sitting in the studio since last August, and I'm glad it is finally done! Awhile ago, I screenprinted by hand vintage style handkerchiefs with the beautifully romantic line from a classic Marlowe poem, "Come live with me and be my love." The handkerchiefs turned out beautifully. I letterpress printed the poem on a 4" x 6" piece of 100% cotton cardstock to accompany the handkerchief. I think this gift set makes a perfect anniversary gift for a first anniversary (paper) or second anniversary (cotton) especially, as a Valentine's Day gift, or for anyone who loves romantic poetry. It could also be part of an engagement. The possibilities are endless. Hello pinwheels! This project has been sitting in the studio for months now. I meant to have it for the holiday season and never got around to it. But now that I have die cut the paper, I rather wonder why I waited so long. The paper pinwheels bring such cheer to the studio! If you want a kit before they go on sale to the general public, just email me and I'll get one in the mail for you. They are $15 for a kit of 8. I hope you all are having a happy Easter weekend! Here is one of our newest offerings in our ongoing collaboration with Shop Toast: the Honey Bunnies card! Perfect for Easter, or just to tell someone special that they are your honey bunny. Fans in Hawaii can grab theirs at Shop Toast - this won't be available through Joie Studio until after the National Stationery Show! Hope you are having a brilliant time! Less than 2 months before the show...AACK! Hello beautiful. Chris sent me more booth progress pics - I really love how the color is coming out. On the left is the final color, on the right is primer only. I have to admit, the primer only color is kinda Barbie. And I mean that in a good way. But I digress. Booth flooring is here and is fabulous. The wedding catalog is designed and ready to go to the printers and the last of my gift products is being produced. The product catalog is awaiting photos of the last of the new gift products to be photographed. My wedding invitation binders, which are being custom made by my bookbinder friend, is near completion. I have the paper and have ordered the plates for my Stationery Show mailer. I've also in my nonexistent spare time compiled a list of about 300 retailers that will be receiving the mailing. If you have a shop in your area that you think might be a good fit for Joie Studio, please let me know! I cannot believe I am about to say this but the 2012 calendar is all designed and will be ready for the National Stationery Show. Booth graphics have been ordered. The guy doing the custom vinyl and acrylic sign work for me has assured me that he will show me how to apply the decals once they are done cutting. Shipping the crate has been arranged. It's a lot of moving parts but so long as everything is moving forward, I'm feeling decent about my progress. It's also given me a chance to take a hard look at my process and has changed the way I produce my ready-made greetings line. In January, I cut my baby greetings and custom line out for 2011 because there was just too much going on already and I wanted to focus on the designs that I already had. They will be ready for debut in 2012 instead, leaving me more energy to focus on my wedding and greetings line. In January, my year and a half old baby had to switch from daycare part-time to daycare full-time. In March, he went from normal hours to extended hours at the daycare. My house is filthy because I don't have time to clean it. I need to bring in a second printer to help me complete all the projects in time for my clients and for the National Stationery Show. I have had to outsource die cutting because I don't have the time to set one of my presses up for die cutting right now. I was going to letterpress print the cover of each of the catalogs but that's not looking like it's going to happen anymore. I haven't slept more than 5 hours on any given night since January. Progress is good and I'm seeing the light at the end of the tunnel! Yay! More soon. 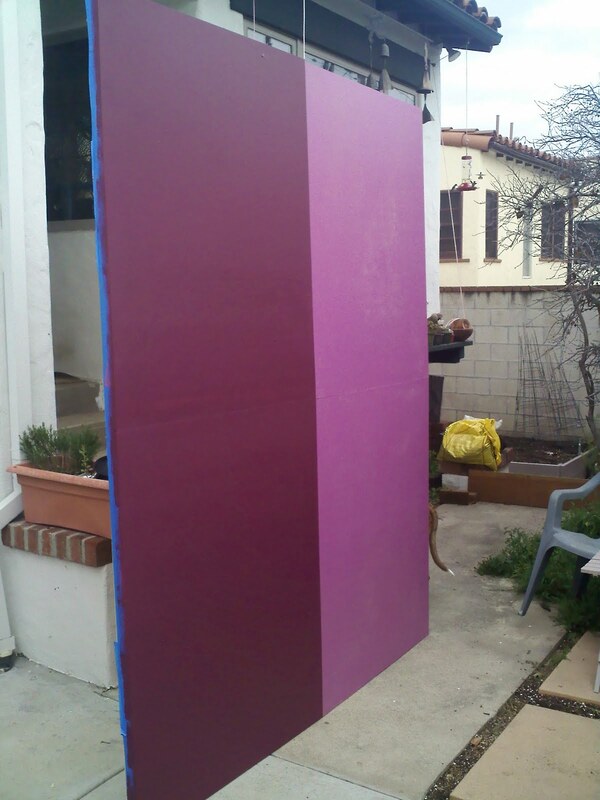 My friend Chris is building the booth walls for me for the National Stationery Show and he sent me this photo to share the progress he made after he primed the walls. I got excited, though everyone I've shown the pic to has second guessed the color. It's because I had the paint store tint the primer. Years ago, we painted my kitchen a beautiful brick red. And it took something ridiculous like TEN coats to get the kitchen red and not pink. My good friend always blamed it on the fact that we didn't get tinted primer (Home Depot was certain that we didn't need tinted primer even though every single HGTV show insisted that when painting a dark color you need to start with a tinted primer), and so this time, since I want such a deep color for the booth walls, I insisted (and I had to INSIST) that they tint the primer to help along the painting. I also bought the paint with primer in it, in hopes that that particular formulation will help coverage. Let's hope that helps cut down the number of coats. Anyhow, in case you are wondering, the walls are hinged wood panels to make it easier to ship. 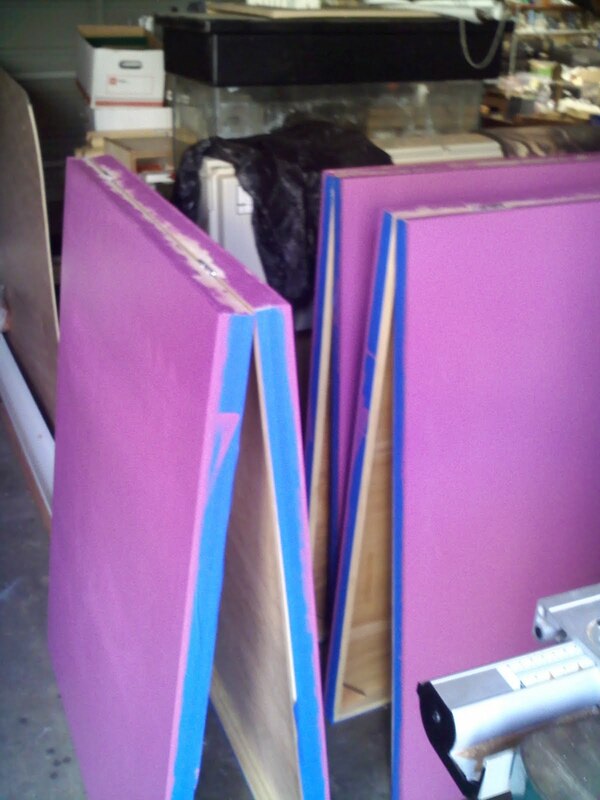 And Chris is easy to work with if you ever want him to build your booth walls for you. This should also make it easy for me to transport them and use them at Unique LA if I want. All of the invitation designs coordinate with Shop Toast's custom and ready-made favor line. We'll be debuting all eight whimsically sweet Toast to Joie designs at the National Stationery Show in May. Hope you enjoyed the sneak peek!